Paloma Lopez is Global Sustainability Director for the Kellogg Company, based in Michigan. During the 10 years that Paloma has been with Kellogg in Europe and the Americas, she has held roles in Sustainability but also in Innovation, New Business Development, and Brand Strategy. In her current role as Global Sustainability Director, Paloma helps embed Sustainability into the fabric of Kellogg’s growth strategies, including brand and customer plans, as well as contributing to a number of employee and external stakeholder initiatives. 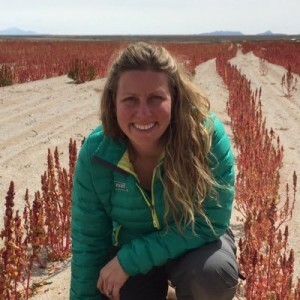 Among her most recent projects, Paloma has helped lead the global rollout of the Kellogg’s Origins(™) Sustainable Agriculture Program, engaging employees and external stakeholders. Paloma has also played an instrumental role enabling brand campaigns such as MorningStar Farms ‘Just What the World Ordered’ and corporate initiatives such as Kellogg’s new digital transparency platform ‘Open for Breakfast’. In her previous role driving Sustainability Strategy for Europe, Paloma also helped lead the partnership with Chime for Change, a global campaign to raise funds and awareness for girls and women to promote Education, Health and Justice around the world, which to date has engaged over 1 million women in the Chime for Change movement and directly benefited 25,000 women around the world.